What every player needs to know! A computer program (called an RNG, or Random Number Generator) ensures a random outcome on each and every play. 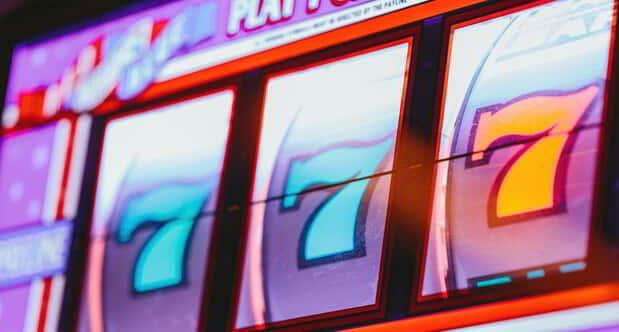 When you play a slot machine that states it has an 80% payout over the life of the machine, it doesn’t mean that you will leave with 80% of the money you started with. After thousands or millions of games, the laws of probability will allow some players to win or break even, but in reality most players will lose. Slots are programmed to retain more money than is paid out in winnings, so in the end the slot machine wins. When you put money in a slot machine, your wager appears on the digital display as credits. As you play, your credits will decrease when you lose and increase when you win. Generally the odds to win any prize are approximately 1 in 5. But the odds to win the top prize on a red, white and blue slot machine, for example, are only 1 in 373,248. Slots differ in their payouts. Some slot games pay smaller prizes more frequently and offer more bonus games. Other machines pay out more often in the middle and top prize categories. The chances of winning smaller prizes on slots are greater than the chances of winning top prizes. Persistence doesn’t pay off. Each play is an independent event with the same odds of winning or losing as every other play on that game. The result of your previous play or series of plays has no bearing on what happens on your next play. There is no way to predict a win. Slots are never “due for a win” and they don’t “go cold” after a win. The RNG produces approximately 1,000 different results every second. So even if you had continued playing the machine, it’s highly unlikely you would have had the same result as the player who followed you. Nothing about a machine’s location, or the way you play, affects the outcome of a game. Slot machine wins and losses are always random, with no predictable pattern. Slot machines are meant to provide entertainment. Just like going out for dinner and a movie, you generally have an idea of what you plan to pay. When you’ve spent your budgeted money, it’s time to call it a day. It’s a good idea to approach gambling the same way. To avoid spending more time or money than you planned, set a budget for your casino visit, as well as a time limit.